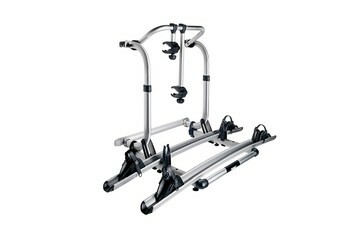 Thule motorhome bike racks are perfect for taking your bikes on your travels – safely, easily and securely. So start planning your next bike trip. The perfect all-round bike rack. 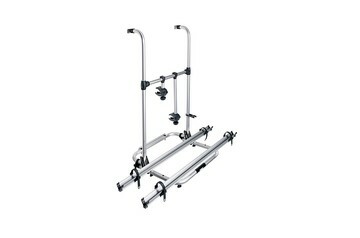 The most elegant bike rack with a large load capacity. 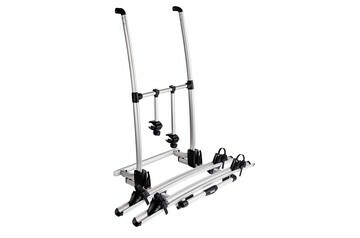 Bike rack with adjustable platform for easy loading and unloading. Fixed inside your garage compartment. The smartest and most user-friendly bike rack for your RV garage space - load up to 2 e-bikes. 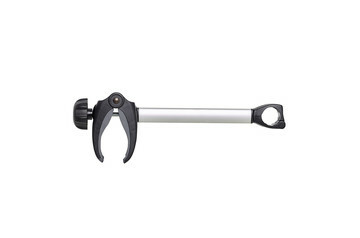 Prevents your bike from moving during travel while blocking the brakes. 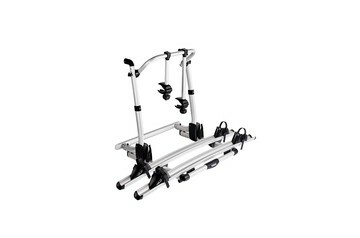 Adapter set for the installation of Thule G2 bike carriers on vehicles with a slightly curved rear wall. 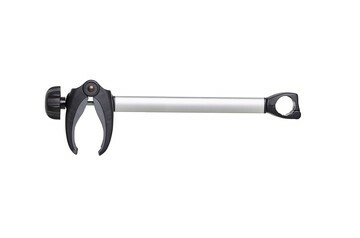 The easy-clamp bike holders grab and hold your bikes at any position. With the lockable knob your bikes are secured against theft. 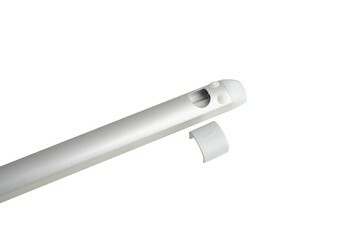 Bottom mounting profile spreads the weight evenly over the panel. 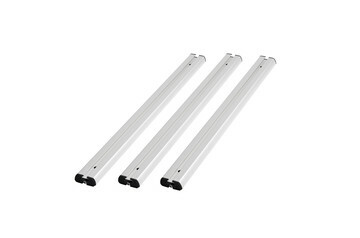 To cover the holes of the mounting rails. 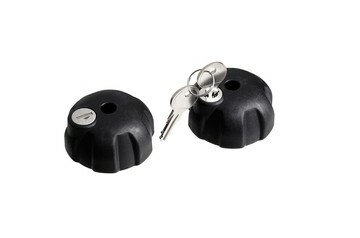 An accessory for rear mounted bike racks with bike holders, making the knobs lockable. Officially approved aluminum rear reflecting panel for protruding loads. 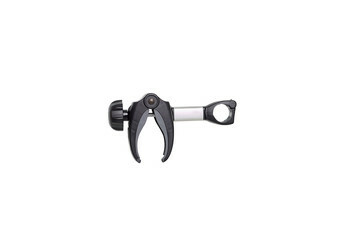 Lockable steel core wire strap. 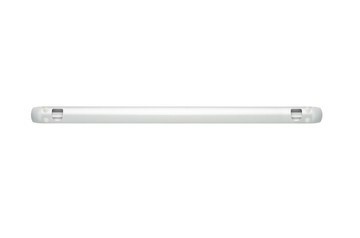 Upper mounting profile spreads the weight evenly over the panel. 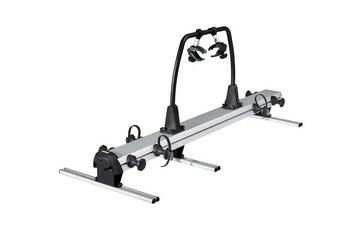 Rails to mount the Thule VeloSlide bike rack in your garage compartment. 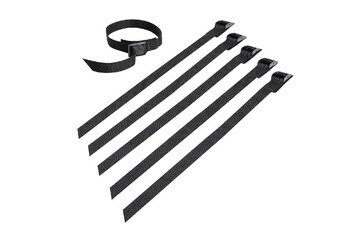 Extension kit for Thule Excellent. Rails slide from left to right and in depth. 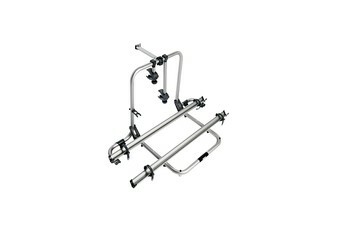 Makes it possible to transport 1 e-bike on a Thule Sport G2 bike rack. 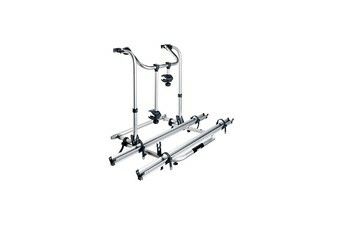 Extension kit for Thule Elite G2. Rail slides from left to right to ease the position of the 3rd bike. 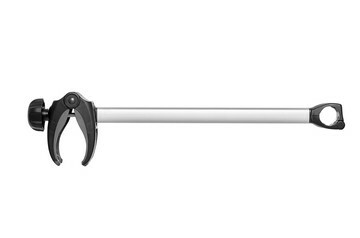 Bike racks for motorhomes are mounted on the rear wall of your vehicle and are strong enough to carry e-bikes. The wide range of fixation systems, developed with and approved by motorhome manufacturers, ensures a perfect fit to your vehicle. 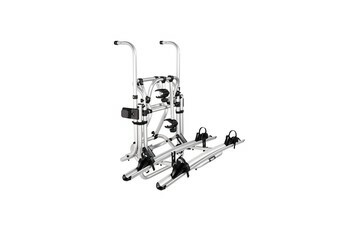 Once mounted, you’ll have a secure, sturdy and stylish rack, packed with smart features such as lock systems, wheel holders and fast-click connections. 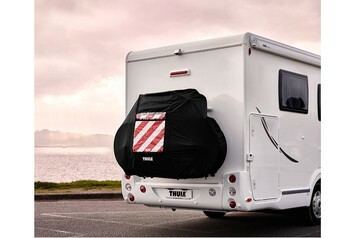 If your motorhome has a towbar, a Thule towbar bike rack provides another loading option. 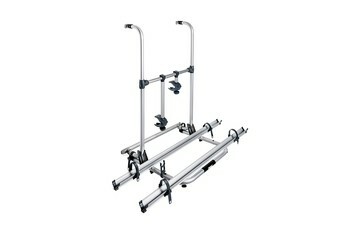 Easy-to-install and use, this rack is especially secure for heavier loads involving up to 4 bikes.